Here it is. Our newest project! For those that know me, you know that I love a good project. But a whole house?? I have already woken up in a sweat with the question, "What have we done?" running through my head. My husband Roger and I made the decision to downsize after all our birds have left the nest. Our present nest is much too large for just the two of us and one spunky wiener dog named Stanley. 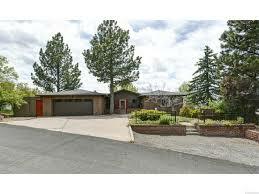 This charming 1970's ranch style home with a walkout basement just grabbed us. We could see the potential of it being our long-term home. So I will write this blog with hopeful optimism that it will one day be perfect. It will chronicle our journey of a kitchen and master bedroom suite renovation as well as deck repair, paint and carpet downstairs, roof repair, blah blah blah. I met with the general contractor, kitchen designer and interior space designer with excitement and lots and lots of GREAT ideas. Well, let's just say that after about 10 minutes I realized that my ideas really weren't that great. Me: "What do you think about white cabinets on top?" ( picture me all smiley and excited...) Kitchen designer: "No, white won't work in this space." Similar conversations went on with some of my other GREAT ideas. Oh geez. I am grateful to have the team to keep me on track so my plethora ideas of a unique space come together. Can't wait. Guess I can "edit" my idea book that I started. More pics to come as our journey unfolds. I'm so glad you are chronicling your adventure! If I can't see it in person, at least I'll get some of the flavor from here. Oh boy let the adventure begin. Can't wait to hear all about it! Yay...love this idea of doing blog. So fun. It is fun seeing your adventure unfold. Thanks for sharing, both the pictures and the commentary. Hope you end up with exactly what you wanted!